Storms that cause down trees and telephone poles, as well as many other natural and man-made disasters can produce power outages. It could take days, even up to weeks for power to be restored, depending on how big of an area is affected. When the power does go out, it can be very difficult to maintain production for your business. In this fast-paced, competitive society, we all know a business doesn’t have time to stop when a power outage occurs. 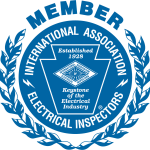 The licensed master electricians at KB Electric LLC provide commercial generator installation services in the Greater Philadelphia area and the surrounding suburbs. We believe it’s crucial for companies to have a back-up power source when the power goes out, simply because we know that a business suffers when employees aren’t productive. A generator will keep your appliances and computer systems in operation so your employees can continue to work to their utmost ability. If you are sold on the idea of having a generator for your business, it may be beneficial for you to know which generator to choose. 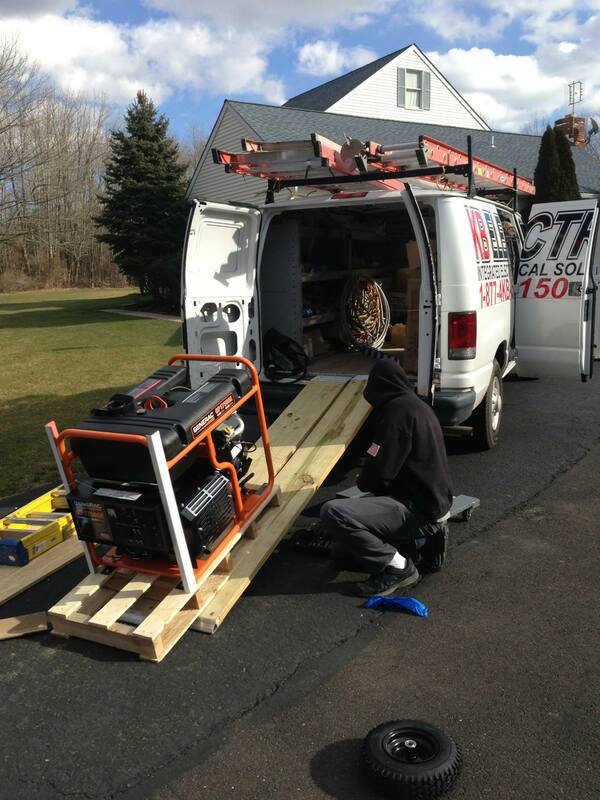 KB Electric LLC can install both types of generators for commercial use. Portable generators offer a temporary back-up power source that can be used for a few hours at a time or so until the original power is restored. These units are useful for smaller businesses that use a small office or building with few electrical appliances because they can only power the essentials: lights, some computers, a refrigerator, a TV, etc. Portable generators are easily movable, and an affordable back-up power option; however, these generators are labor-intensive. When the power goes out, a portable generator needs to be manually turned on to start working. If you are someone who doesn’t mind manually powering-up the unit and filling it up with gasoline, than this could be the option for you. When your power goes out, a standby generator turns on automatically by itself, restoring your electricity more conveniently than with a portable generator. 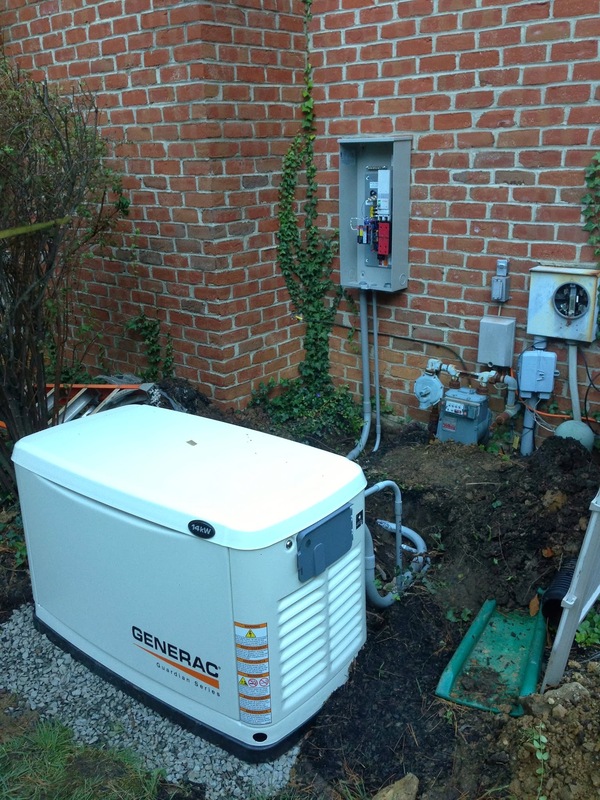 Unlike the portable generator, the standby generator can power everything in your business that uses electricity, including your AC unit and heating system. Standby generators prove to be a more ideal option for companies with a bigger sized building/office and workforce, because these units can provide continuous back-up power for all electrical appliances and equipment until original power is restored. In contrast to portable generators, standby generators use natural gas or propane to operate. Standby generators are also the more expensive option for a power back-up source compared to a portable generator. There are many different options when it comes to installing your portable or standby generator for your business. 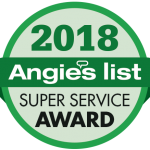 Our team of commercial generator installation experts will go over all options for installing these units that best fits the many commercial properties we service. Call KB Electric LLC today to stay out of the dark, and maintain productivity in the light, with our commercial generator installation services! (267) 467-3178.